A not-for-profit agency presenting and commissioning artists. 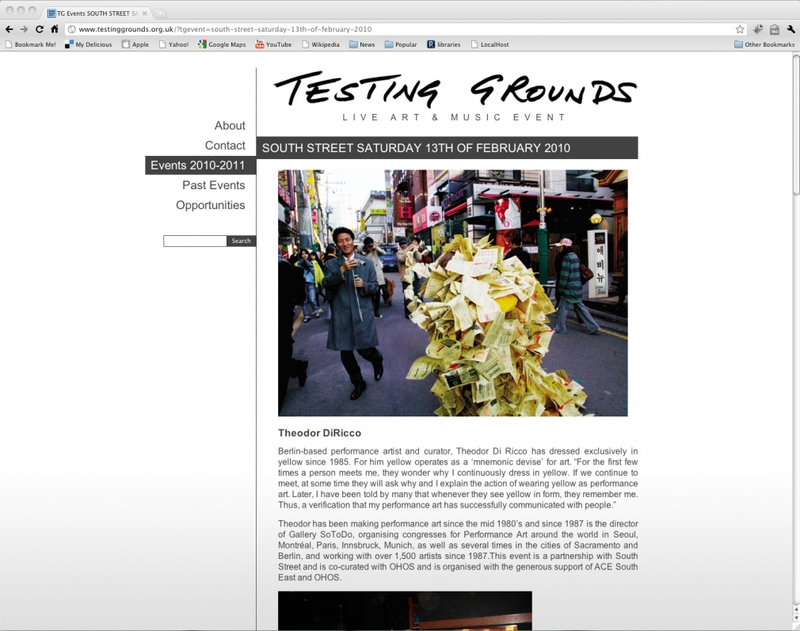 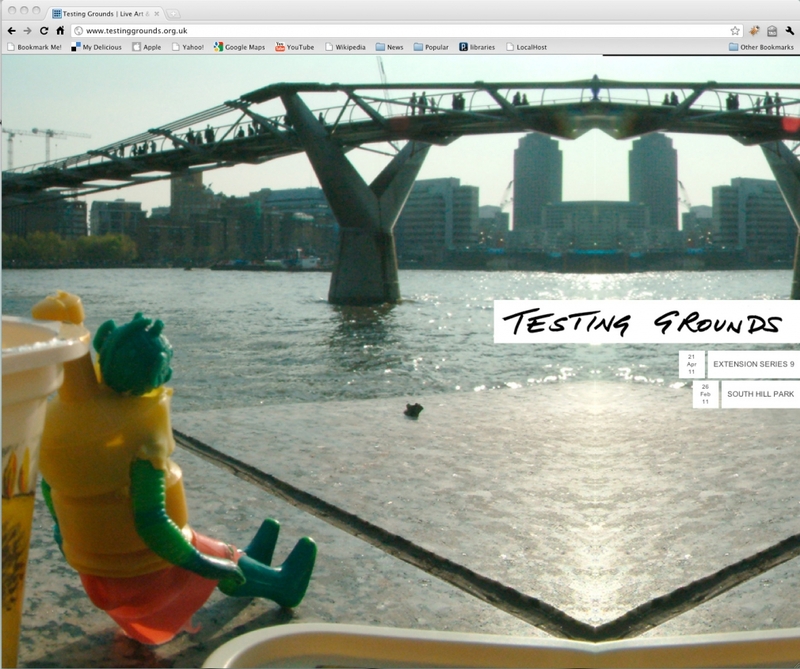 Testingrounds.org.uk is build with WordPress but I created custom posts and categories to transform wordpress into a tailored CMS that focus on the user’s need and what the website is: a event-based website. The design follow the same idea by giving all attention to the flyers and the events as well as a having a simple interface. 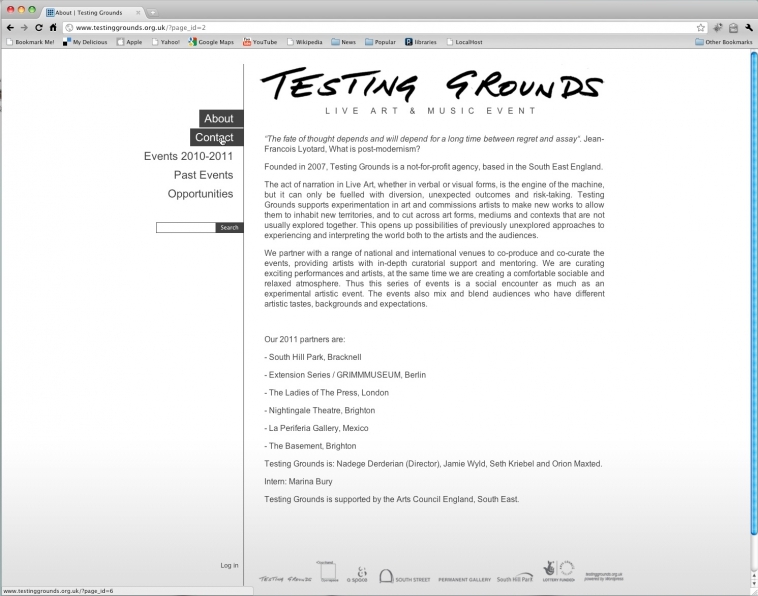 I removed some of the generic WordPress menu items from the admin interface to give a clear and focused vision of how Testingrounds.org.uk function. Those custom posts and categories are based on what the website is for: Presenting new Events, adding artists, open calls, opportunities, flyer and deadlines. 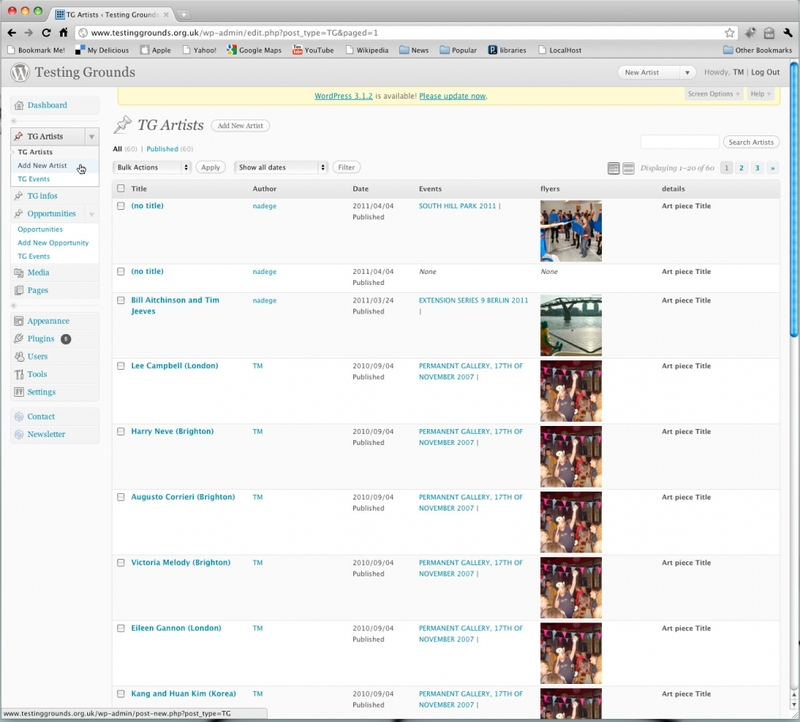 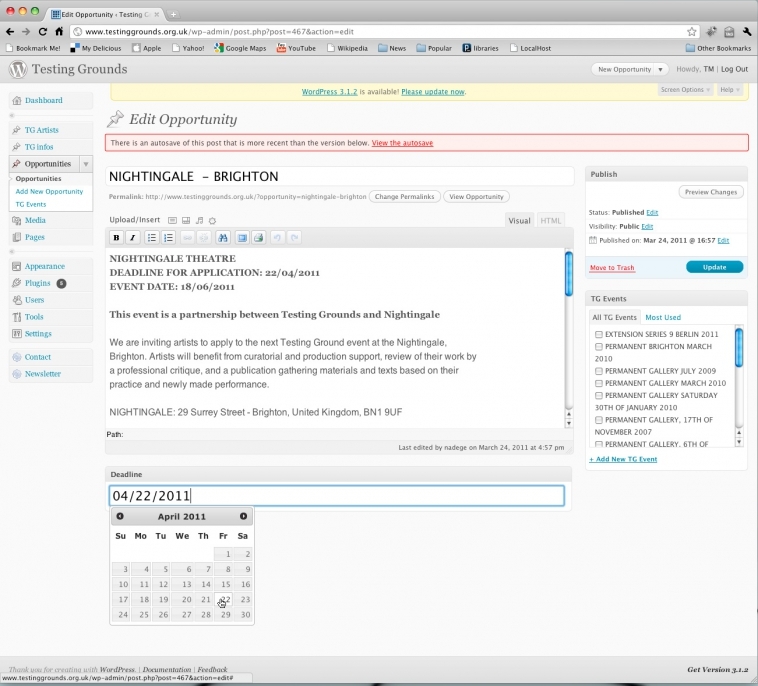 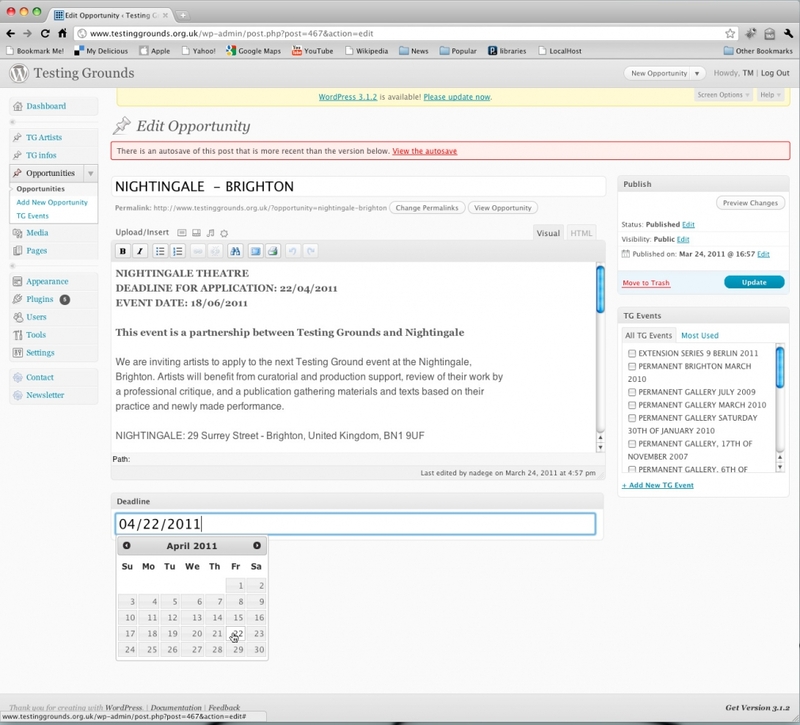 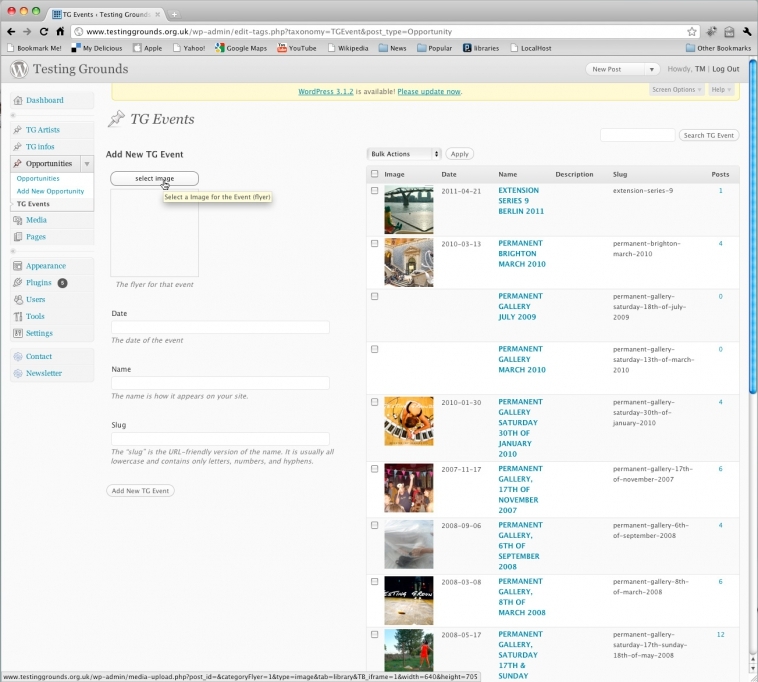 For example, categories are called Events and have some custom options like adding a flyer and a deadline. 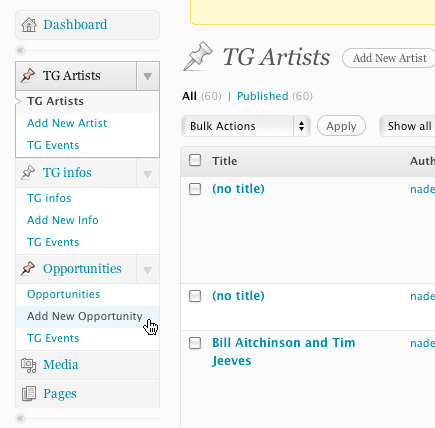 I also customised the listing of artists, opportunities and info to display the flyer and the right columns’ name (like events instead of categories). 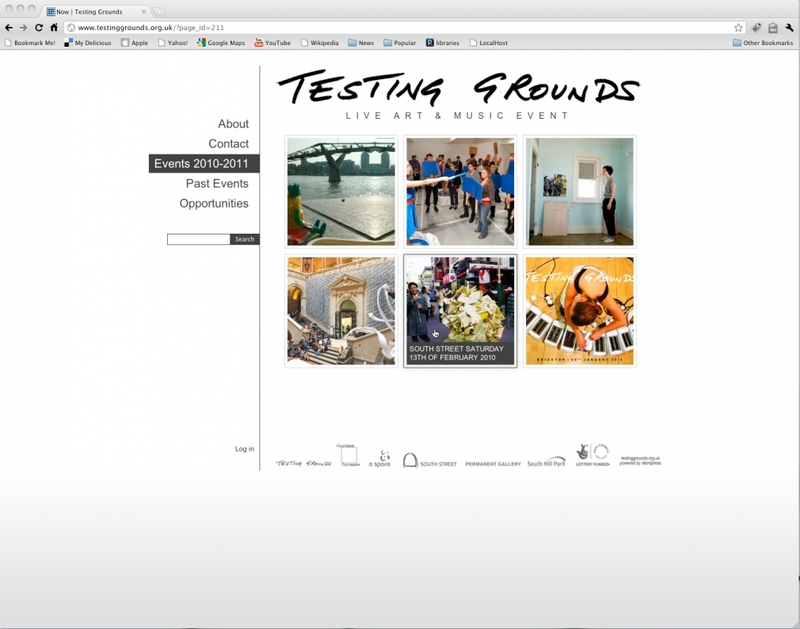 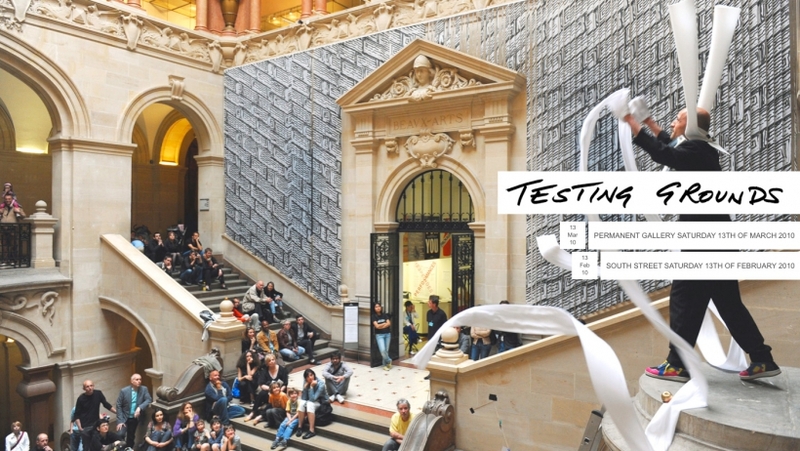 The Website as more automatic features like showing the latest events, opportunities and the current event flyer in full screen on the home page. Or updating automatically putting events older than a year into the past events category.